The Class B winning Liqui-Moly Bathurst 12 Hour combination of Stephen Grove, Brenton Grove, and Ben Barker is set to reunite for the event this year. 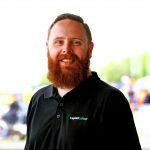 In 2018 the trio, joined by Dan Gaunt who stepped in for an ill Brenton Grove during the race, won their class by three laps over an all-American entry run by Wall Racing. While the driver line-up is unchanged, the team has ungraded its machinery and will brandish a latest-spec Porsche GT3 Cup Car after Porsche allowed its use in the event. 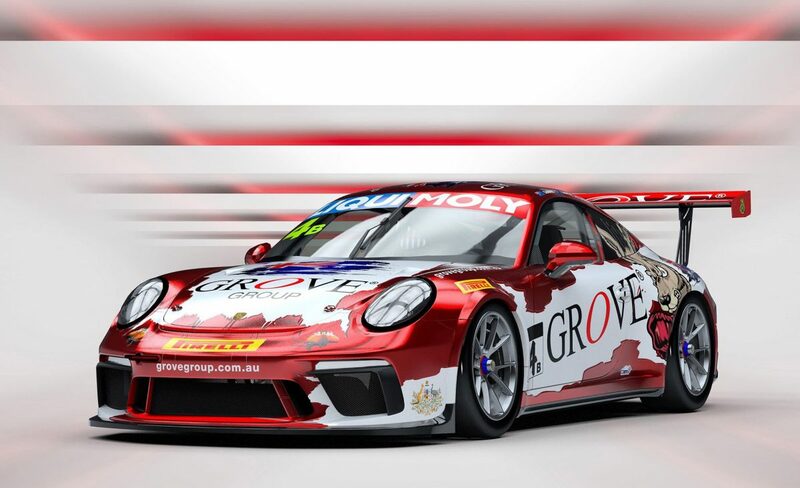 It will be decked out in Grove Motorsport’s traditional red and white livery, with a boxing kanagroo on its flanks among a number of Australian insignia on the car. “Having the same driver line-up heading into this year’s event was something really important for our preparations,” explained Stephen Grove. “We tried to keep some normality year on year and having the same three drivers really helps that process. Barker, a former competitor in Australian Formula 3, has been campaigning in the World Endurance Championship, though has a longstanding relationship with the Groves. “I am really looking forward to joining my friends at Grove Racing Down Under again; we’ve had some great success over the years and will be gunning to continue that this year at the Bathurst 12 Hour,” he explained. “Mount Panorama is one of the most challenging and unforgiving tracks in the world that therefore makes it all the more rewarding when completed. The Bathurst 12 Hour begins on January 31 with track activity for support events before the main show takes to the track for the first time the following day.